The digital supply chain is technology-driven, but peel away the technical layers, and, like most business initiatives, digitalization is really about achieving results faster than traditional means and at lower cost. Digital capabilities and digital manufacturing produces high quality, complex goods in less time, without the traditional handoffs and delays between disciplines. In other words, technology is a prime feature of digital manufacturers, and rapid, flexible production is the prime benefit. Beyond speed, a digital supply chain is “on demand” by nature because a company can seamlessly move from design to manufacturing in a few quick steps. Along these lines, finding a contract manufacturer that can incorporate on-demand capability into a company’s supply chain, allows that company to create a supply chain that is truly driven by customer demand, not by (and dependent on) a supplier’s lead time. This can have the added benefit of dramatically improving a company’s operational efficiencies. This article explores the emergence of digital manufacturers, how they work, tips for choosing digital suppliers, and a brief look at the benefits of using on-demand manufacturing. In product development, digitalization speeds up time to market by automating the transfer of information. This digitalization has revolutionized manufacturing, making manufacturers more innovative and agile than ever. Using digital technologies for different functions is not a new concept, but model-driven, integrated processes are, in fact, relatively new. 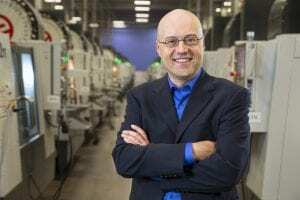 Computerized systems such as CAD, computer-aided manufacturing (CAM) software, management systems with bills of materials (BOMs), and so on, have been around for decades, but only recently have companies been able to enjoy a holistic, digitized process that spans from design through to manufacturing and quality—a true end-to-end digital thread running through the manufacturing process. According to IT research firm Gartner, digitalization changes business models and provides new revenue opportunities. If one thinks about new models in contract manufacturing, digitalization allows for design requirements to be quickly analyzed and transferred into the manufacturing process, even for relatively complex parts. This had led to the rise of digital contract manufacturers, and permits original equipment manufacturers (OEMs) to focus on what really sets their products apart. For many companies today, the point of differentiation is in how software or electrical systems interact with the mechanical engineering in their products, or how they’ve integrated internet of things (IoT) and product-as-a service concepts into their product portfolio. Therefore, product life cycles are shortened, which requires digital, on-demand contract manufacturers. In terms of evaluating contract manufacturers, the digital partners are those that can offer an agile response. Under a fully digitized process, accurate price quotes can be provided in hours, if not instantly, and the manufacturing completed often in a matter of days, sometimes even the same day. The primary starting point in digital contract manufacturing is leveraging 3D CAD technology to capture and visualize the customer’s design intent. In a non-digitized contract manufacturing relationship, manufacturability analysis is a painstaking process that may take days or weeks because humans have to manually comb through all the details, rather than allowing digital systems to automate most of the analysis. Speed is enabled by using digital technology to automate many of the planning steps involved in manufacturing specific parts, such as analysis, quoting, toolpathing, and other manufacturing engineering issues. Under the digital approach, analysis software quickly generates a design for manufacturability or DFM report that highlights any differences between details the model calls for and how the machine can make the part. Once the manufacturability report is examined and approved by a customer and the order is placed, it’s as if the part has already been manufactured digitally, upfront in the process. Then all of that code from the order can flow into a manufacturing execution system and established processes, including quality control plans and inspection points can be applied. Digital supply chains span many technologies, from IoT-based monitoring of machines and shipments, to cloud-based analytics and more, making it daunting to try to evaluate everything impacted by the digitalization trend. However, if you think of digital manufacturing in terms of what matters most to your company, certain capabilities come into clearer view. 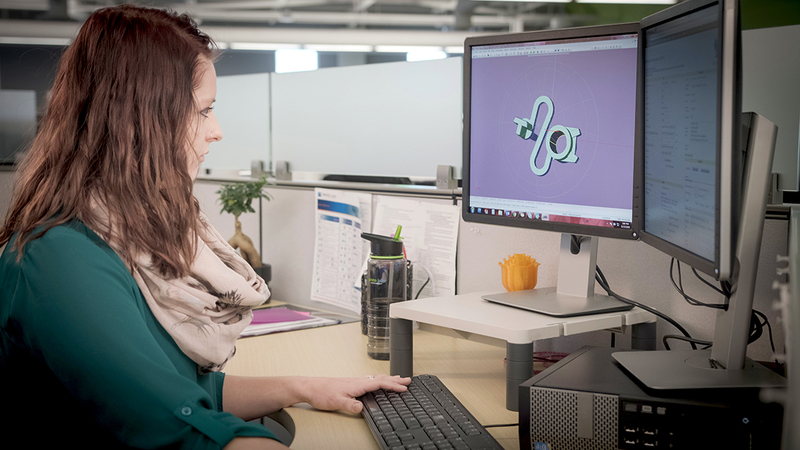 Does the process begin with a 3D model that captures design requirements digitally, so the model can be analyzed for manufacturability, and easily moved into the contractor’s CAD/CAM platform and manufacturing process? Does the process leverage online quoting and design analysis tools that highlight differences between the model’s design details and the capabilities and limitations of specific machinery? A digital manufacturability report and a 3D model make it easy to visualize and review manufacturability issues. Does the process utilize a highly integrated CAD to CAM environment? This allows specific part geometries to flow into the proper tool pathing and/or manufacturing steps for making a part. Can the contractor apply proven quality controls and inspection points for how specific machines will make a part? This is made possible by a complete digital thread that begins with manufacturability analysis on the front end, followed by CAD/CAM integration and digital inspection. Digital manufacturers can bring a new level of speed and agility to the manufacturing supply chain. Speed and agility allow companies to respond appropriately and swiftly to unforeseen market forces—leveraging on-demand manufacturing to adapt to changing customer needs, volatile demand, supply chain interruptions, and a number of other circumstances. In addition, on-demand digital manufacturing is often the most cost effective for low- to mid-volume production. Ultimately, digital manufacturing needs to be nimble. A digital contract manufacturer needs to be fast and cost competitive while hitting design and quality requirements. The OEM doesn’t want delays, quality issues, or revisions because of the lack of an integrated, digitized process. For many parts, OEMs can tap into the speed offered by a digital contract manufacturer, which allows them to launch new products to market sooner, and build a more responsive and cost-effective supply chain ecosystem.